When it comes to promotional items, the watch industry does a pretty terrible of it. Unlike the automotive or computer industry, obtaining promotional items other than catalogs in the watch world is a never ending treasure hunt. People who attend the Basel watch trade show sometimes leave with watch branded schwag, but watch companies are pretty stingy when it comes to giving away branded material to compliment your watch, and Rolex is no different. Rolex Authorized Dealers (ADs) typically have a stash of Rolex branded gifts to give away to lucrative customers, but the only somewhat readily available Rolex branded item available at ADs is the Rolex Perpetual Spirit Magazine. 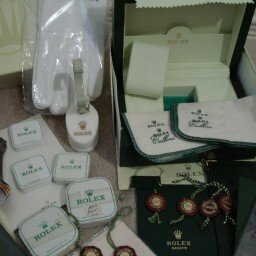 Even though there is not a plethora of giveaways from a Rolex AD, there are plenty of Rolex items out there, but they take some effort to obtain. Because of the scarcity and the quality of Rolex promotional goods, Rolex items tend to be expensive. 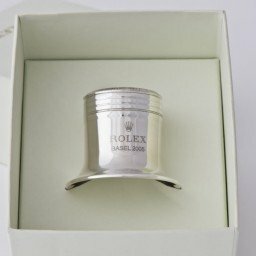 Rolex promotional items are typically gifts intended for frequent customers, or to dealers who move large amounts of Rolex merchandise, or to any other friends of Rolex found at the Basel Watch Show or at Rolex sponsored events. 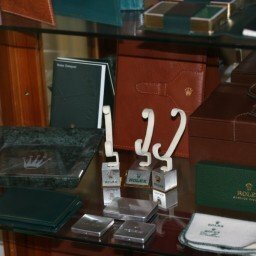 Subsequently, many of the gift items are of high quality, reflect the event Rolex is supporting and are rare because of the low numbers that Rolex produced. 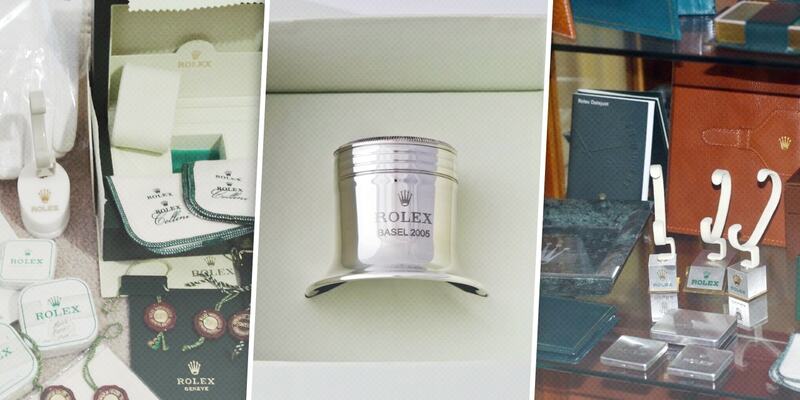 In addition to Rolex gift items, there are also Rolex dealer materials in the mix. Like with any other franchise, Rolex dealers have to purchase their display materials and keep them in pristine condition. When display mats, watch stands, or display kiosks become worn or dirty, they are supposed to ship back to Rolex. Sometimes when an Authorized Dealer closes, some of these items are sold off to collectors. Rolex display stands and trays, signage, and collateral materials floats out into the collector market. Getting into the Rolex promotional and dealer materials market involves skimming watch forums such as TimeKeeper Forum as well as eBay. Even though there are international sellers on eBay, it is good to skim eBay Germany, eBay Australia, and eBay UK separately as many times the items do not co-mingle depending on how the seller lists the items. Prices vary widely depending on demand and timing. Rolex watch display stands can be found for as little at $40(US) but many times are listed well over $200(US). Watch forums are another good place to find Rolex schwag but with a focused audience, prices tend to be higher. Finding a Rolex item to compliment your watch is just part of the fun with owning a Rolex. Thanks to RW16610 and SpaceDweller on TimeKeeper Forums for sharing their collections with us!